Auburn University junior Sarah Pitts has been named a finalist for the prestigious Harry S. Truman Scholarship, one of the nation's top academic awards. Pitts, a Birmingham native, is a member of the Honors College pursuing a double major in English literature and Spanish with a minor in political science in the College of Liberal Arts. Since enrolling at Auburn in the fall of 2013, she has pursued undergraduate research in political theory as well as linguistics. Under the direction of Murray Jardine in the Department of Political Science, she completed a study, "Martin Heidegger and Postmodern Thought," wherein she synthesized the literature on the 20th century German philosopher examining his work and his course of lectures "An Introduction to Metaphysics" as well as "Nietzsche." Among her many activities, awards and honors, she served as a legislative intern for U.S. Sen. Jeff Sessions in the summer of 2015 where she had the opportunity to work on the Elementary and Secondary Education Act which was reauthorized in late 2015; she is a member of the Committee of 19, Auburn's anti-hunger initiative; and participates in Blessings in a Backpack. She is a study partner in the Office of Undergraduate Studies; a Women's B-Cyclist with the Auburn Flyers Club Cycling Team; and was elected a member of the national honor society of Phi Kappa Phi last spring. The Truman Scholarship Program was established to provide scholarships to outstanding students who are committed to a career in public service. Created in 1975 by an act of Congress, The Harry S. Truman Scholarship is awarded to approximately 60 college juniors each year on the basis of four criteria: service on campus and in the community, commitment to a career in public service, communication ability and aptitude to be a "change agent" and academic talent that would assure acceptance to a first-rate graduate school. More broadly, Truman Scholars possess intellect, leadership skills and passion that would make them a likely force for the public good in any field. 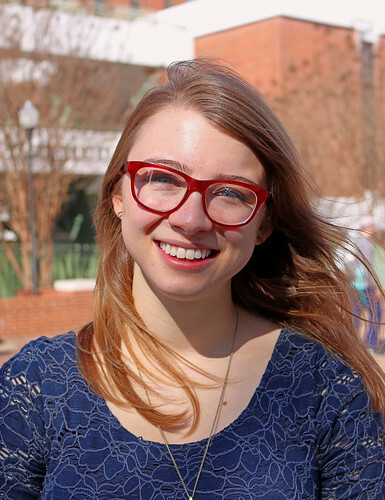 Sarah Pitts, a Birmingham native, is a member of the Honors College pursuing a double major in English literature and Spanish with a minor in political science in the College of Liberal Arts.